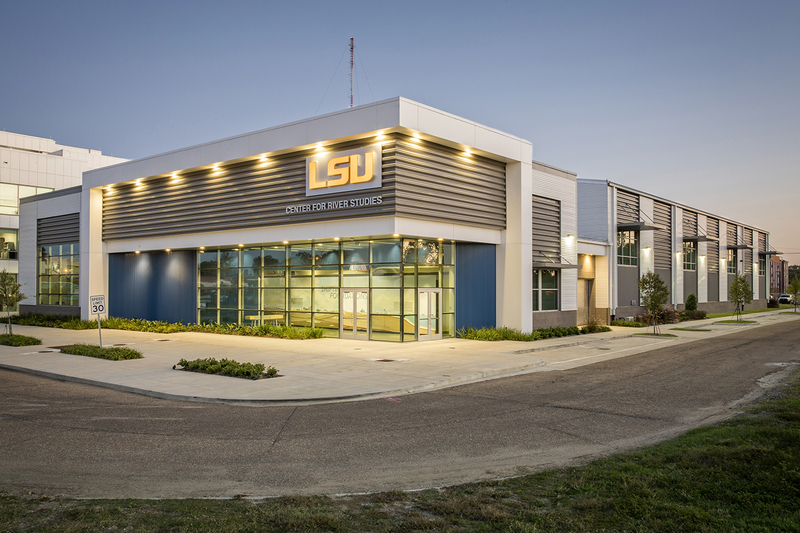 The new $18 million LSU Center for River Studies located off Nicholson Drive at The Water Campus features nearly 10,000 sg. 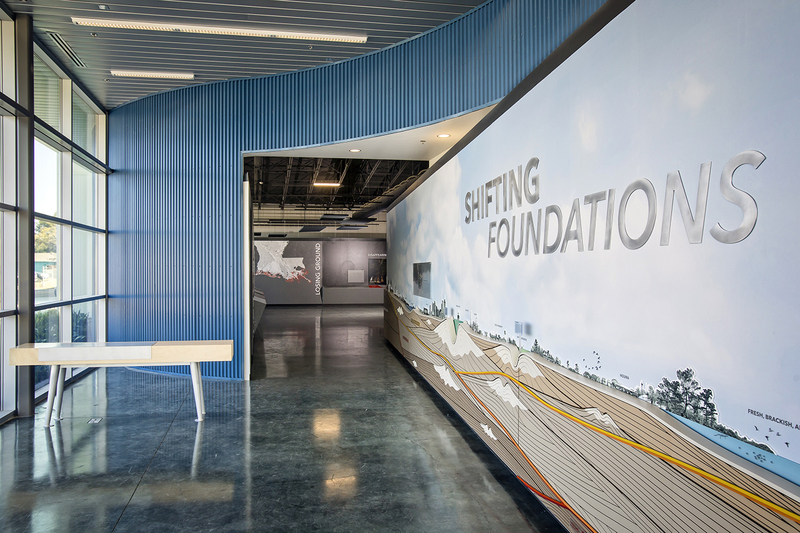 ft. of interactive educational exhibits and a 120-by-90-foot changing floor model of the lower Mississippi River system. The 45,568 sq. 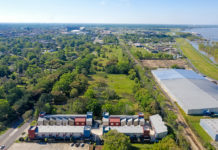 ft. Center is a collaborative partnership between Louisiana's Coastal Protection and Restoration Authority and LSU. 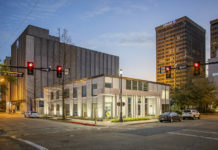 Located at The Water Campus, the LSU Center for River Studies spans more than 45,500-square-feet, including nearly 10,000 square feet of interactive educational exhibits. 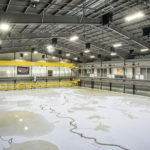 The centerpiece of the center is the Lower Mississippi River Physical Model, a 120-by-90-foot changing floor model of the lower river system, incorporating 179 miles from Donaldsonville to the Gulf of Mexico. 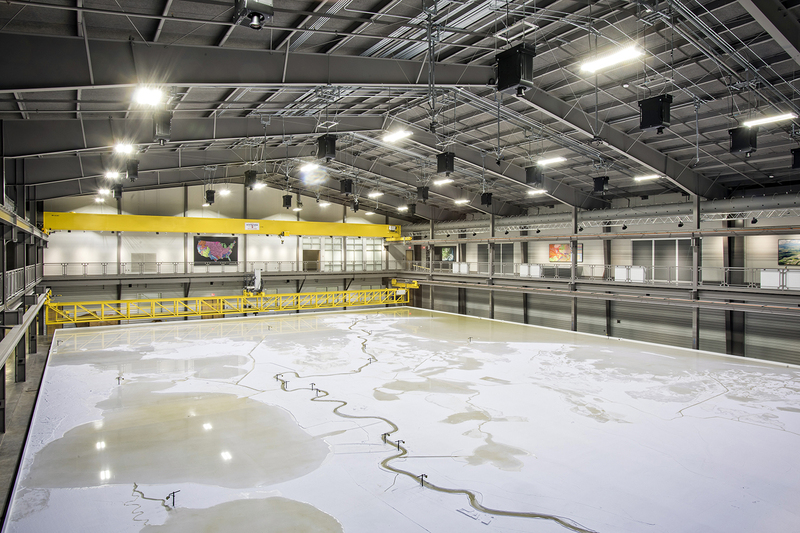 By running water and a silt-like substance through the 10,000-square-foot model—one the world’s largest—engineers and researchers can analyze the most pressing environmental issues. 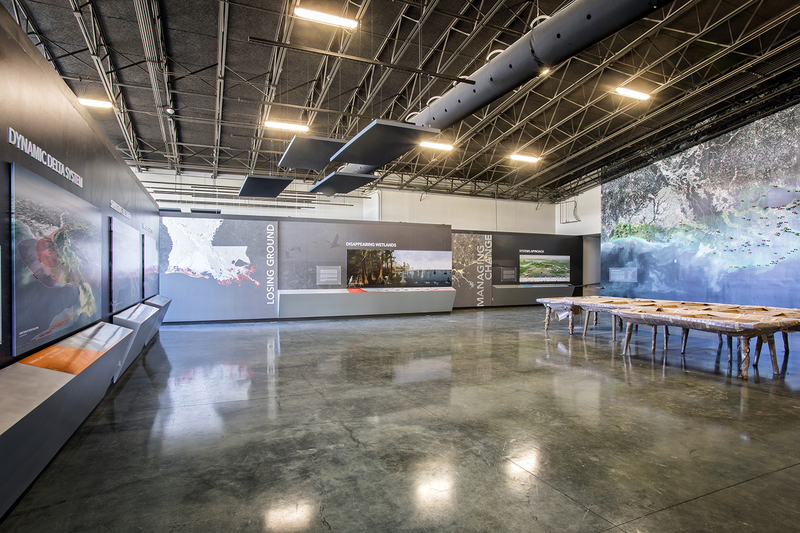 Twenty high-definition projectors illuminate the model to bring the river and coast to life. 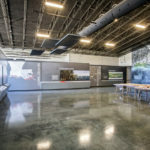 While primarily a research facility to develop knowledge that can be exported to other coastal communities around the world, the center also contains an interactive coastal exhibit area featuring seven distinct coastal-related educational themes for students and visitors. 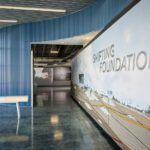 The center is on schedule to open in February, with tours for students and academic groups expected to begin this spring.